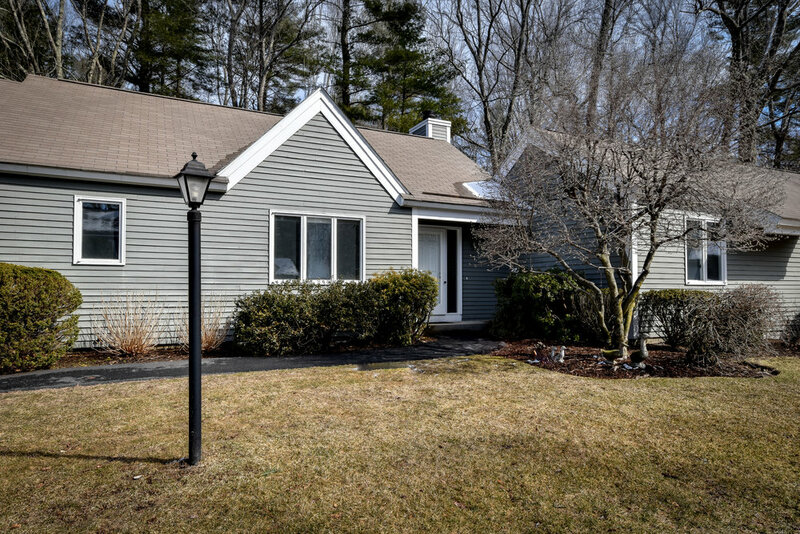 Compass and Lisa Curlett of Compass are thrilled to announce the listing of 7 Coltsway in Wayland, MA. Situated on a cul-de-sac in an idyllic setting, this one-floor living, stand-alone home is a rare offering at Mainstone's Stoneridge Village! Beautifully updated, the unit has a well-appointed kitchen with a sunny eat-in area, spacious dining room and adjoining living room with a fireplace and views to the private grounds. There is a generous master bedroom with a renovated bath and walk-in closet as well as an additional bedroom, which can also be used as an office. The unit features hardwood floors throughout, many windows providing an abundance of natural light, wrap-around exterior deck, two-car garage and a basement for storage and with the potential for finishing. Additionally the home offers breathtaking views of the woods and conservation land, the use of a pool and tennis courts as well as a convenient location with close proximity to commuting routes. The unit is also handicapped equipped and accessible. A must see! Listed for $549,000, this fabulous home offers two bedrooms, two full baths, and 1,553 square feet of living space. For more details on the property, please visit 7coltsway.com. And to see the property or for more information, please contact Lisa Curlett (www.lisacurlett.com, 781-267-2844 or lisa.curlett@compass.com).